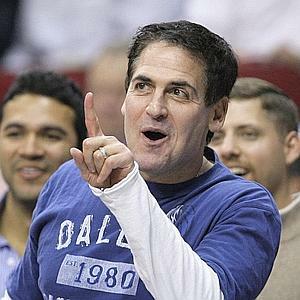 HDTV pioneer (and millionaire Dallas Mavericks-owner) Mark Cuban is to revamp his HDNet channel in a joint-venture partnership with the talent agency Creative Artists Agency, radio talk-show host Ryan Seacrest, and sport and music promoters AEG. The ‘new’ channel is AXS TV (pronounced ‘access’) and will go on air in June. More importantly the channel will be available in around 35 million homes, compared with HDNet’s current 27 million home. The channel is to be included on Dish Network’s ‘America’s Top 120’ line up of standard def channels (HDNet was only available to HD subscribers). AXS TV will tap into AEG’s live events, bringing “audiences with the complete live experience,” from the show’s build-up to rehearsals, sound-checks, as well as the actual performance and after-party events, according to the companies involved. AEG owns the London 02 Arena as well as Los Angeles’ LA Live complex, and events from the 02 and LA Live are part of the broadcast plan.